We are happy to meet David Svetoslav Spasov, General Manager of Chongqing COKC Business Co., importing wine from Bulgaria. Hi David, would you tell us what brought you to China in the first place? I studied in Eckerd College, in Florida, US, and as a student I went to Honk Kong on an exchange programme. There I fell in love with Asia, so I decided to look for a temporary job in this part of the world to explore more of it. I found an opportunity in Chongqing, and that’s why I firstly came here. And after being in Chongqing for some time you decided to open your own business…How did it happen? Well, the wine business started almost by chance, it was not in our plans. Ten years ago, my Chinese partner and I decided to open a company exporting a wide range of products: automotive components, construction materials, textiles, toys… At that time, I represented the connection between the Chinese market and Eastern Europe (especially Bulgaria, Romania, Greece, Macedonia). 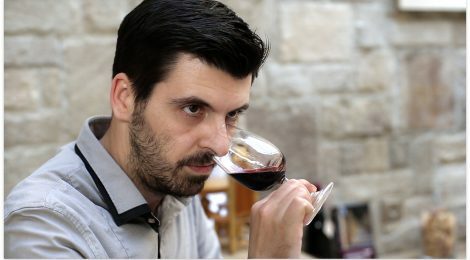 One time, taking advantage of the company, I imported some wine from Bulgaria, just to have some good bottles to drink with friends. I brought some to a dinner with partners who liked the wine very much, and suggested to import more. Since I was far away, I sent my mom in search of a good winery in Bulgaria, asking advice in wine shops, cause she is not a wine expert, and I wasn’t either back then; we bought 200 bottles of the most expensive wine she found and introduced it to our Chinese partners. That is how the business kicked off. Our first important customer was a very well-known restaurant, now closed, called Made in Kitchen, a beautiful restaurant close the Three Gorges Museum: the manager tried our wine and immediately loved it. He asked for more, and we happened to sell him all of the 200 bottles. Made in Kitchen become our first stable customer. How did you expand in the rest of China? After Made in Kitchen,everything was easy, one step led to the next one: the manager introduced us to a lot of customers, and we were going to every happening: exhibitions, shows, meetings,… until we reached the Bulgarian Embassy in Beijing: that was our turning point. Beyond Chongqing, where everything began (at the beginning our company registered address was my flat’s), we have now branches in Beijing, Shanghai, Chengdu, Xian, and Shenzhen. This year we have just celebrated not only our 10th anniversary, but also two new offices in Xinjiang and Henan. A great success, also because I have always wished to be present in the exotic lands of Xinjiang! What are the procedures you need to follow to bring wine into China? After landing in Shanghai, our wine goes through a rigid inspection, from the numbers of bottles, which has to correspond to the quantity we have declared, to the payment of the import tax. Then a team from the China Entry-Exit Inspection and Quarantine Bureau comes to our warehouse and pick some samples of wine, take it to their lab and test the content. If the samples meet the requirements in terms of safety and labels, they give us a certificate and the wine can be sold. It is not a long process, but it is necessary step according to Chinese regulations. What do you think is the general trend in wine consumption in Chongqing? There used to be some wine bars in Chongqing, but it was not easy for us to enter the local market. In our early years,restaurants aimed at making half of their profit on food, and the other half on wine, which obviously led to overprice the second; as a consequence, Chinese were considering wine as a luxury good. We worked and are still working hard on negotiating with restaurants to set reasonable prices for wine and, more importantly, our mission is to educate restaurants and consumers to perceive wine as an everyday good, not as just for special occasions. We have tried to change this trend, and push restaurants to make profit on bigger volumes of wine sold, rather than by overpricing a few bottles. I believe this is the best way to retail wine. 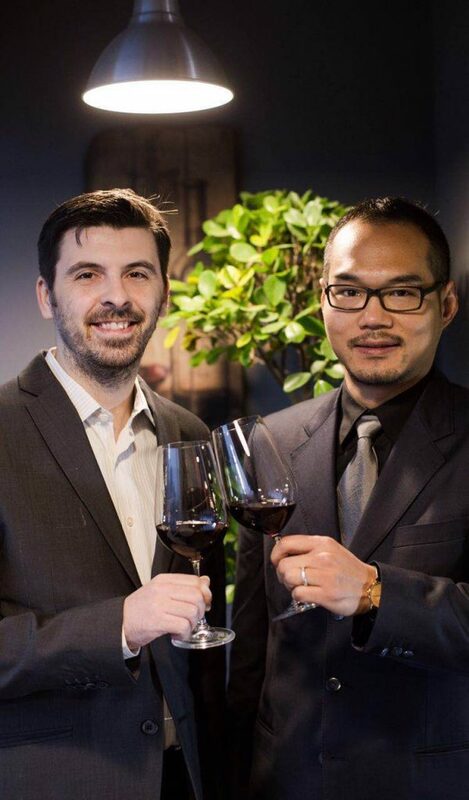 How do you gain new clients, and what do you think wine is perceived by Chinese people? When we meet a potential customer for the first time we like to take it very easy, let the customer enjoy, taste the wine, feel in what it is different; at a later stage, we start talking about business, costs and price-quality rate. We do not mind opening loads of bottles for free during a party if we gain new clients. We need to keep this approach especially because our wine comes from a place which is almost unknown to most Chinese people. Once we delivered thousands of bottles to a Chinese manager who was hosting his company’s annual party: all bottles were drunk ganbei style. After that, we decided to set a limit of maximum 36 bottles of the same wine per day for single orders. Also, we have been trying to educate our Chinese customers on how to enjoy wine and taste it, instead of drinking all in one gulp. Yet we also have good sells, which are when big companies buy very large quantities, they then store the wine in their warehouses and open it during VIP parties or use it as a gifts to important clients. Interestingly, the 80 percent of what we sell is red wine. Chinese do not like white wine, firstly because it normally does not have as much of a strong flavour, and secondly because of a language factor: wine in Chinese is hongjiu, where hong means red, so wine in China cannot but be red. Do you have any tip for starting this kind of business, and which one do you think the most common mistakes are? When the wine industry was booming, Chinese people who could afford it started to invest, they travelled around Europe looking for wineries and set up their own business. Yet, in most of the cases they were not able to keep the business alive in China, because they lack basic knowledge in wine culture and its business logics. If you want to succeed, you need to proceed with a long-term plan, and choose your wine accordingly. 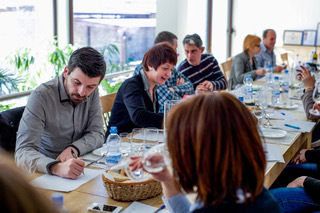 It is also important to develop an effective dialogue with wineries, because they would not take the risk of selling abroad if you do not follow a good business model. The market is undergoing constant changes: you need to be flexible, and give every day new emphasis in relations with customers, by travelling, seeing personally the different environments where you want to introduce your product. What has changes in these ten years and what about future perspectives? Social networks as Wechat gave a strong input to our network: when customers post picture of our wine on their moments, visibility can increase exponentially. Another positive spill over was the interaction with Chinese colleagues: when we started the company I could not speak a word of Chinese, it used to take us four hours to go through the schedule, now Monday meetings last about 20 minutes. Moreover, we have given great emphasis in educating our employees to appreciate wine, teaching them to identify different flavours, so that they are now more engaged and can give more effective support to the company. Some of them even spontaneously learned some words in Bulgarian, such as cheers, hello, good morning, happy new year,…Me and my partners have also put a lot of efforts in choosing not only the wine, but also the proper attitude to make our customers feel welcome, and I can only thank them because they believed in me and helped me to grow. As for the future, I do not make long-term plans, wherever my company goes, I will be happy to follow the flow! Thank you David, we are looking forward to taste your wine!